So said Harold Wilson, Labour’s most electorally successful leader, who won four out of five General Election campaigns. In the last seven days, we’ve seen the creation of the Independent Group, the government showing public willingness to delay Brexit, and most importantly, Labour finally coming out in support of a People’s Vote. Wilson was known for being a political chameleon, ready to work with different parts of the Labour Party to ensure that his political agenda came to fruition. The reality is that a Tory Brexit will harm the working class people that the Labour Party was created to help. Which is why the left of the party should support Jeremy Corbyn’s decision to back a People’s Vote, rather than snipe from the sidelines. 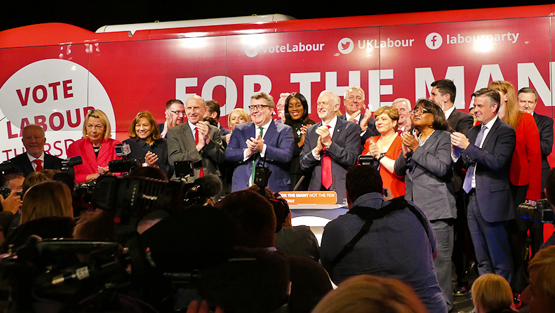 This was a decision that was underpinned by the democratically decided policy at Labour’s Conference, as well as the overwhelming majority views of Labour’s members, supporters and voters. “Remain would lose a second referendum”, I saw tweeted by a left-wing Labour activist last night – as if predicting the outcomes of a campaign that doesn’t yet exist is more impressive than helping shape it. “It’s led by a bunch of centrists and opponents of Corbyn.” is a constant refrain – ignoring both groups like For our Future’s Sake, led by a diverse group of young people from the UK – and the fact that the reason why the left aren’t leading is because we, uh, choose not to. I’m not going to dissect the EU Referendum campaign of 2016 again. But a couple of truths are now universally acknowledged – that the Remain campaign was pinned as the ‘status quo’ – a state of affairs untenable to many across the country. That there was no positive vision for how how by staying as a member of the European Union, we can genuinely transform this country, and offer solutions to long ignored problems. Both of these issues are ripe for the left’s leadership, campaigning prowess and visionary ideas. If your complaint is that the People’s Vote campaign has been lacking that so far – then it’s time to step up. To Labour MPs, currently publicly or privately contemplating rebelling against Labour’s leadership, I would ask simply this; will Brexit improve any of the crises inflicted on your constituents by this Tory Government? Will there be fewer homeless people, less food bank users or more support for those hit by universal credit? The answer is obviously, no. We know that Brexit – an ideological project conceived on the fields of Eton and Harrow – will make those things worse. The left needs to not be inflexible, and instead take up the mantle of a People’s Vote; it’s the only way to protect the working people of the United Kingdom against the ideological Brexiters. Rosie McKenna is a spokesperson for the pro-second referendum student campaign For Our Future’s Sake. She is a Labour member who joined the party in 2016 to support Jeremy Corbyn.